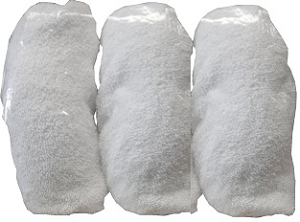 White terry cloth replacement Sh-Wipes for the Sh-Mop, 85% cotton 15% polyester. My company loves using the Sh-mops and Sh-wipes. Not only do they a great job on all types of floors but they make wall washing so easy. 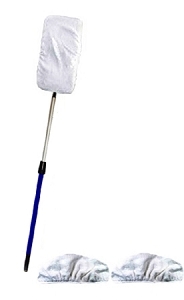 Since we started using these to wash our customers walls, we have never had to worry about streaking. Plus it takes half the time to get the job done now. It's a great product! These fit much better than the ones from several years ago. Easy on, easy off when dirty. I love the Sh-mop system; best I've found in 60++ years. Makes for a really clean floor. 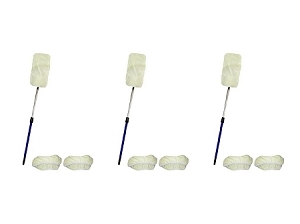 I tried purchasing terry mop heads at Home Despot and was very disappointed. They were thin, weak, and quickly had holes. 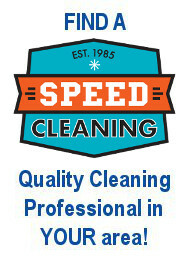 Clean Team has quality mop heads that stand up to scrubbing and last a long time. 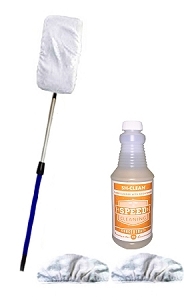 Don't be fooled by substitutes: get the Real Deal from Clean Team! 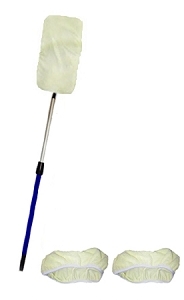 I have been using the Sh-Mop system for eight years now and in my opinion it is the BEST system on the market!!! I LOVE my mop and the rags. 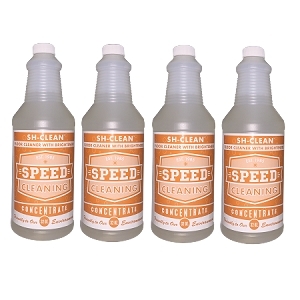 Saves time, cleans great, machine washable, large coverage area. I like that the cloths are thick so it really cleans!! I even use it to clean stone shower walls with! Please don't ever stop making this product. Thank you!! 27 PERCS will be rewarded to you when you buy this item.